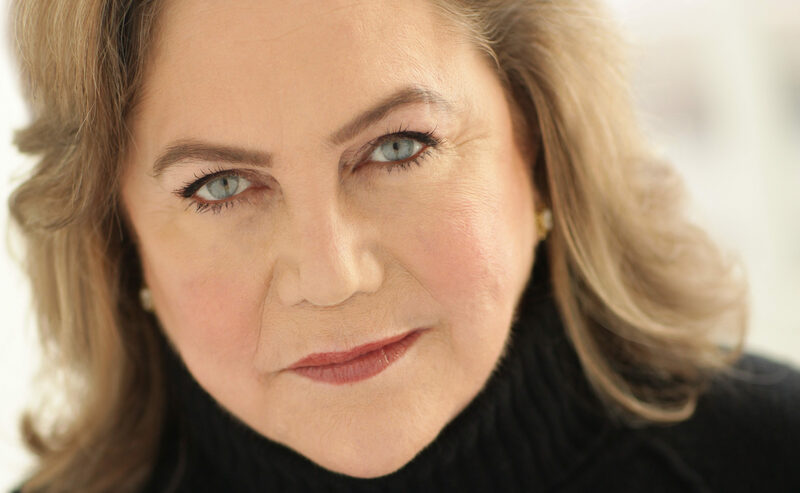 SCREEN legend Kathleen Turner says she refused to live in Los Angeles at the height of her career because of Hollywood’s sexism. The star of Romancing The Stone and The War Of The Roses believes the Me Too and Time’s Up campaigns, which raise awareness of sexual violence towards women and the connected need for change in the workplace, are “way overdue”. Speaking ahead of her visit to Scotland with her first cabaret show, Finding My Voice, the 63-year-old Oscar nominee said: “I never lived in LA and I realised in hindsight that it was very much because I couldn’t stand the feeling, the culture towards women, out there. “There was an inherent contempt, I would sense that, and I would be out there working and would feel insecure about myself and under attack, so I would get on the first plane back to New York. “People said it would affect my career and ability to have choices, but I said I couldn’t be there. “I was unhappy there, so in a sense, I escaped all of that. “Even if there were opportunities I missed, I would have been so unhappy anyway, so what would have been the point? A lifelong activist, Kathleen began her career on the stage in 1977, but was catapulted to international stardom four years later with her debut film role as a femme fatale in Body Heat. “I couldn’t even get in for an audition in New York because the two men who were the casting directors there said I had no film experience, so it would be a waste of time for the director, Larry Kasdan,” she recalled. “I flew out to LA to audition for another film three months later and Larry still hadn’t found his actress. When Body Heat’s casting director, Wallis Nicita, heard I was in town, she called me in to read. “When I did, she said ‘don’t move, I’m going to get Larry’. It began an incredible decade at the box office, which included hits such as The Jewel Of The Nile, Prizzi’s Honour, an Oscar-nominated turn in Peggy Sue Got Married, and as the sultry voice of Jessica Rabbit in Who Framed Roger Rabbit? But a diagnosis of rheumatoid arthritis in the early 1990s, just a few years after giving birth to daughter Rachel in 1987, would greatly affect both her career and life as the debilitating condition took hold. “It had quite an impact on my career, as there were several years when I could not work, but it did also make a huge impression on my life,” Kathleen said. “My daughter would say ‘let’s run mommy’ or ‘catch me’, but I couldn’t play with her when she was at that age. “It was very hard on personal relationships – even touching was painful. It was a constant factor in everything I did and it’s hard not to have it become an incredibly depressing ruler of your life, but I had good support and eventually good medicine and I got through it. Regaining her health allowed Kathleen to return to work. Although she had significant roles in films like The Virgin Suicides and a memorable turn in sitcom Friends, it was on stage where she was often found – Broadway productions of Indiscretions, Cat On A Hot Tin Roof and Who’s Afraid Of Virginia Woolf? and in London for The Graduate. “As a woman grows older, I think a lot of the more significant roles are in theatre,” she commented. “I’ve found theatre more welcoming than film. Another reason I didn’t want to stay in LA is because I didn’t want to get too far away from the stage. She says some fans want to talk to her about her turn as Chandler Bing’s drag queen dad in Friends, for others it’s Jessica Rabbit, but for most it’s Romancing The Stone. And she has no regrets over the roles she rejected – two of which are said to be Ghost and The Bridges Of Madison County – and prefers to look forward. “I have turned down things and I feel I made the correct decisions,” she said. “It’s been a wonderful run. I’ve had an extraordinary career and I’m thrilled. The show comes to Edinburgh next month and is a mix of stories from her life and related songs. “I worked with two wonderful gentlemen, my director Andy Gale and musical director Mark Janas, on singing,” she said. “I had never sung professionally before and wanted to learn. I love telling stories and making people laugh. “When I told a story, Mark would say it reminded him of a song. “It all came together in a very organic way and the idea of a cabaret just sort of crept up on me. Kathleen has spent large portions of her life in England, including parts of her youth, as her father was a US Foreign Service officer stationed in London. But Scotland also holds a special place in her heart. “I’ve been to Edinburgh several times, and also Glasgow, for family visits, a book tour, tourism,” she added. “Turner is a Scottish name, part of the Lamont clan, and we have a beautiful tartan, I’m happy to say. 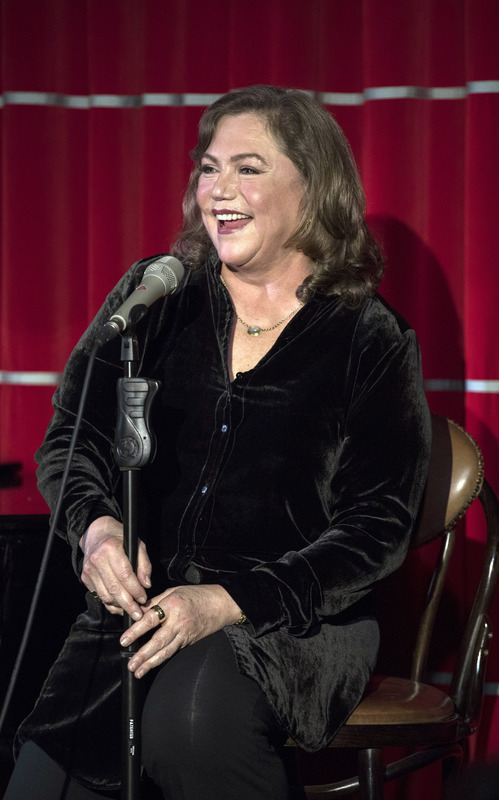 Kathleen Turner – Finding My Voice, Queen’s Hall, Edinburgh, May 14.